Course Format: Begin course and follow navigation instructions. Course can be taken via audio (articulate) or pdf download. A pdf copy is available to all participants. 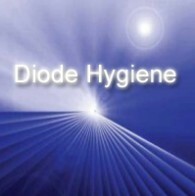 This course provides information for both Dentists and Hygienists. Soft tissue spatial tissue dynamics are covered in great depth. The program demonstrates how to use the diode laser for both surgical procedures and laser assisted Perio therapies. Use of activated and non-activated tips are thoroughly covered. Baseline parameters for Perio Assisted laser procedures and protocols are an integral part of this program. Upon successful completion of the course,the clinician will receive 6 CE ADA CERP recognized credits from Arizona School of Dentistry & Oral Health, (ASDOH). Dr. Robert Levine, DDS, is an Assistant Professor of Clinical Dentistry, Director of Laser Dentistry, and Clinical Director of the AEGD Post-Division from 2008- 2012 at Arizona School of Dentistry & Oral Health. 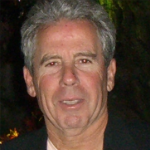 Dr. Levine is Owner and President of Global Laser Oral Health, LLC (GLOH) and Levine Consulting LLC. Dr. Levine is licensed in Arizona, California, and New York State. His companies provide online laser and hands-on laser training. Dr. Levine is a graduate of New York University and completed a two-year residency at the VA Hospital in Brooklyn, NY. He remained as a consultant for many years and was in private practice in New York until 2005. Dr. Levine has been involved with lasers since 2003. Dr. Levine is the co-developer of the first University laser curriculum for a U.S. Dental School. Dr. Levine teaches both pre-doc and postgraduate residents through both his laser program and hands-on live patient treatment. All students use lasers on live patients after passing their curriculum examination. Treatment of the special needs patients is an area in which laser applications can be highly effective. He has published numerous peer-reviewed articles on laser applications in dentistry. Disclaimer: Participants must be always be aware of the hazards of using limited knowledge in integrating new techniques or procedures into their practice into their practice. Only sound evidence-based dentistry should be used in patient therapies. Refund will not be given to courses in progress. If the program cannot be completed due to web-site failure, a reimbursement through GLOH and authorized.net will be provided in 7-10 days upon notification. Please contact Fern Ariemma (VP of Finance) at Gloheducation.com. Phone contact 855-242-4564.